Fall in Myrtle Beach! There are so many things to do on the Grand Strand. And this month we are featuring fun, particularly for children … Rockin’ Jump … not to mention loads of options on Halloween for kids. But don’t worry. We have fun things for adults too! The Trembley Group Real Estate Sales Executives love all that Myrtle Beach and the Grand Strand has to offer. It’s what makes living in Myrtle Beach and the Grand Strand so special. If you think visiting the Grand Strand is special, why not consider owning a piece of the Grand Strand and investing in a vacation home or retirement home? The Trembley Group Real Estate Sales Executives believe that real estate sales are about changing lives and they want to share their love of the Grand Strand with you and make a positive change in your life too. Every day is a good day to be in Myrtle Beach and on the Grand Strand and no month is a better month than October. The average temperature is in the mid 70’s with relative humidity in the 20’s. October usually has the most days of sunshine. And water temperature is still a comfortable seventy-five degrees. October is just another reason the Sales Executives at the Trembley Group Real Estate love living and playing in Myrtle Beach and along the Grand Strand. But even with sixty miles of clean white sandy beaches, beautiful state parks, more putt-putt courses per square mile than anyplace in the country, and a wide variety of kid-friendly venues like aquariums, water parks, and museums, sometimes it rains or is too hot and it’s a good idea to let the kids blow-off steam for a few hours. Rockin’ Jump, Myrtle Beach’s first trampoline park fits the bill. Rockin’ Jump, is a 23,000-square-foot, indoor trampoline park, and play center. It is the perfect place for kids to burn off some energy. The center is a series of play areas and climbing attractions that provides a fun and safe alternative to the beach, pools and water parks. The air-conditioned complex is located in the heart of Myrtle Beach at the former Myrtle Beach Mall site. It offers a wide variety of activities for all ages. The 30-foot rock-climbing wall presents a physical and mental challenge in a safe environment with safety harnesses and a trained attendant. The look of accomplishment on a child’s face when he/she reaches the top and ring the victory bell is priceless. The Ninja Challenge Course is in an enclosed cage for safety and offers a major challenge for aspiring extreme athletes. They can cross the pit of foam squares using the quad steps, trapeze, cargo net, tube swing, swinging rings, hanging discs and an unstable bridge to test their skills against other children or themselves. Falling into the foam pit is half the fun, as kids are encouraged to try again if they slip. Fans of basketball will enjoy the Slam Dunk Zone, where trampoline launch pads allow even the smallest aspiring hoopster to experience the thrill of a slam dunk. Featuring three hoops of varying heights, kids can take it to the hoop and glide through the air like Michael Jordan. Two dodgeball courts are unlike anything played at school, with padded ramps providing great places to run and hide before juking to avoid the soft dodgeballs thrown their way. Kids can divide into teams for a fun game of dodgeball, or even enter a tournament to take on other teams. There’s also a padded jousting pit where kids can stand on a balance beam and try to knock their opponent off his or her perch, as well as a stunt bag for climbing and crawling. There is a special section for kids 6 and under that lets them participate in a variety of activities in a safe atmosphere. Rockin’ Jump is also conveniently located next to the Children’s Museum of South Carolina, which caters to younger kids and offers a wide range of educational and fun activities. Parents can join their kinds in the Rockin’ Jump fun or they can sit in a comfortable lounge area and watch their kids play. The lounge features big-screen TVs and a café. The café serves snacks and has free Wi-Fi to spend a little time online. Rockin’ Jump offers play by the hour and special events, Birthday party packages include food, drinks, and cake for up to 15 guests. Private party rooms are available. It’s the perfect place to get the kids out of the weather and let them blow off a little steam. 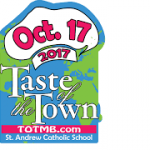 St. Andrew Catholic School hosts the 33rd annual Taste of the Town at the Myrtle Beach Convention Center. Each year the exciting culinary event brings in hundreds of locals and visitors to sample a vast variety of food, wine, and dessert from its many competitors. Nearly 50 restaurants compete for best entree, best dessert, people’s choice and several other accolades during the event. Tickets are $6 and can be purchased in advance or at the door. Tasting tickets are $1 and can be purchased at the event. Tasting tickets are good for samples from participating restaurants and in the beer and wine garden. Don’t miss an opportunity to discover some of the best Myrtle Beach and the Grand Strand has to offer. For many folks living on the Grand Strand, the highlight of the fall is the Georgetown Wooden Boat Show. The third weekend of every October, Georgetown celebrates its nautical roots and pays tribute to the seventeenth and eighteenth-century shipbuilders that once built vessels out of the South Carolina coastal timber. Many believe the boat show is one of the best exhibits of its kind in the southeast with nearly 150 classic wooden boats on display along Front Street and in the water on the Waccamaw River. The exhibits include rowboats, kayaks, canoes, inboard and outboard motorboats, and sailing yachts. Some of the boats have been skillfully created by modern-day craftsmen from exotic woods like ebony and cypress, with complex inlays and finishes as smooth as glass. Other boats are meticulous restorations of the 1920s and 1930s runabouts and cabin cruisers from Chris Craft and Fay & Bowen. Boat owners and builders, passionate about their wooden treasures, make the journey from as far away as Pennsylvania, Maryland, Mississippi and Texas to attend the festival and talk to the public about the workmanship that goes into creating a boat by hand. Among the most impressive boats on display is the Century Class – boats 100 years old and older. In past years, entrants have included a New England Cat Boat built in 1911 and a 1900 sailboat made out of juniper and oak. Along with the boats on display, Saturday features a boat building competition where teams of two battle the clock to build a Carolina Bateau, a 12-foot rowing skiff, in fewer than four hours. At the end of the day, they head to the water to race their boats across the Sampit River. Teams are judged on building speed, workmanship and rowing speed. 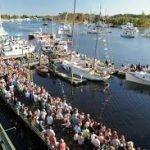 The boat show also features maritime art and crafts, regattas, food, music and even a special appearance by a band of pirates known as the Charles Towne Few. Among the most impressive boats on display is the Century Class – boats 100 years old and older. In past years, entrants have included a New England Cat Boat built in 1911 and a 1900 sailboat made out of juniper and oak. Visitors inspired by the competition can take their own turn at the oars. In recent years, the New Charleston Mosquito Fleet has been offering rows on a Pilot Gig from the docks of Francis Marion Park. Other weekend events include kids’ model boatbuilding, knot tying instruction, a wooden Optimist pram regatta, cardboard boat regatta and a pirate careening camp set up on Front Street by a living history group decked out in period costumes and weapons from the Golden Age of Piracy. Halloween is one of our favorite holidays because you get to dress up and eat candy! Here are some of the highlights for the Grand Strand. Dogtoberfest, The Deck at House of Blues Myrtle Beach – Join The Humane Society of North Myrtle Beach on October 14th for Dogtoberfest 2017 on The Deck at House of Blues Myrtle Beach. This is a fun family-friendly event from 3:00 – 8:00 pm. There will be live music by Kevin Nichols (4:00 – 6:00 pm), raffle prizes, silent auction, and the best part a pet costume contest! All proceeds benefit The Humane Society of North Myrtle Beach. Howl-O-Scream, McLean Park, North Myrtle Beach, October 27 from 5:00 – 8:00 pm. The free Howl-O-Scream event includes hayrides, pumpkin painting and marshmallow roasting in addition to the traditional trick-or-treating. The event is open to all ages and includes scary and scare-free zones. Kids’ and Pets’ Halloween Costume Contests at Barefoot Landing – October 27 starting at 1:00 pm. Bring the kids and the pets out in their favorite costume to have a chance to win great prizes. Registration begins at noon, Kids’ contest starts at 1:00 and Pets’ contests follows. There will be face painting, free carousel rides for those who are in costume and Kids’ Karaoke. Trick or Treating at Barefoot Landing – October 31st, 5:00 – 7:00 pm. Dress up the kids and bring them out to enjoy the sights, sounds, and safety of trick or treating at Barefoot Landing. Bring the family to shop, eat and enjoy! 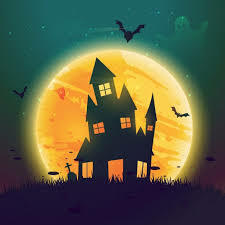 Children’s Museum of South Carolina Not So Scary Boo Bash On October 26th from 5:00 – 7:00 pm. Admission is $3 with a costume. Trick or Treating at Broadway at the Beach, October 31st from 4:30 – 6:30 pm. Bring the little ones to Broadway for trick or treating in a fun & safe environment. Participating merchants will have little surprises for all those in costume and don’t forget to stop by the Visitor Center for a FREE trick or treat bag and activity book. Available on a first come, first serve basis, while supplies last. Hard Rock Cafe, Broadway at the Beach will offer free kids meals with the purchase of an adult meal to all kids in costume on Halloween Day. They will also have Halloween treats for the little ones. Market Common will be trick or treating on October 31st from 6:00 – 7:00 pm. Participating stores around The Market Common will offer candy and you can do the Monster Mash in front of Grand 14 Cinema. Huntington’s Haunted Halloween Friday & Saturday, October 26-27, 6:00 – 9:30 pm. The Atalaya “castle” will be the setting for an evening of frightfully fun family entertainment! Enjoy 2 separate haunted house attractions, carnival games, children’s crafts, spooky cartoons on the big screen, smores, a bonfire, and more! Event admission is $10 for adults, $7 for children 6-15. Children 5 and under are free, but parents, please note: some of the special effects used in the haunted houses may be too intense for younger children. Free Park Admission during this event. This event goes on, Rain or Shine! Call 843-235-8755 for more information. Halloween on the Marshwalk October 31st beginning at 5:00 pm. Bring the kids out beginning at 5:00 pm for the Annual Trick-or-Treating and Costume Parade. At 6:00 pm the kid’s costume contest will be held at the pirate statue behind Drunken Jack’s Restaurant. Visit www.marshwalk.com or call 997-2713 for more information. Conway Ghost Walk: Spirits of the Lowcountry on October 25, 26 & 27. Professional storytellers weave tales of Lowcountry haunts through the shadowy streets of Downtown Conway. This Halloween event features seven storytellers sharing tales that are always spooky, sometimes humorous and guaranteed to become part of your family’s Halloween tradition. Tours begin each evening at 7:00 pm and leave the box office every 10 minutes until 8:30 pm.